Stage two… ahhh. 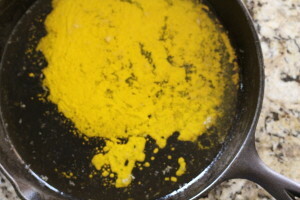 You get to start eating a little more and introduce more flavors and nutrients, my favorite of which is ghee! This clarified butter is gentle on digestion and nourishing to boot. The rich, buttery flavor is just the ticket to add some flavor to bland soups. Best of all, it’s very easy to make! 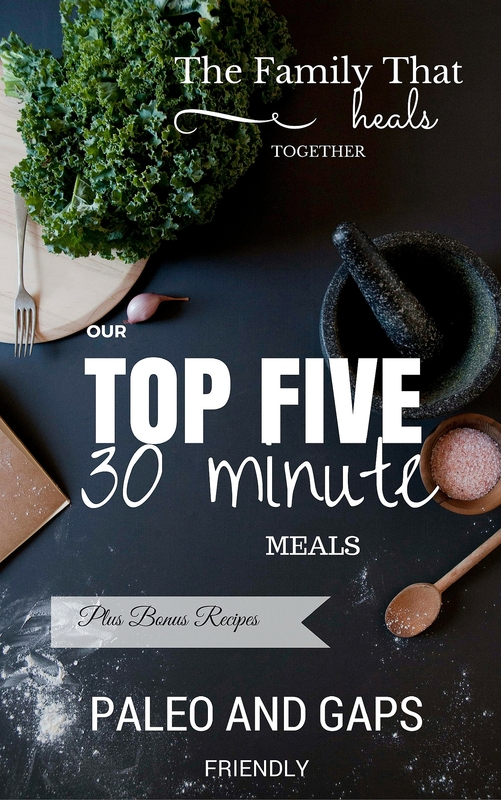 You don’t need any fancy equipment or special skills, just a few simple kitchen tools. Don’t forget to check out my post on our week one experience on GAPS intro here, then grab the book for all the details! Ghee, also called clarified butter, offers the nutritious benefits of butter, with greater ease of digestion. Turn oven on lowest setting (150-170 degrees, typically). 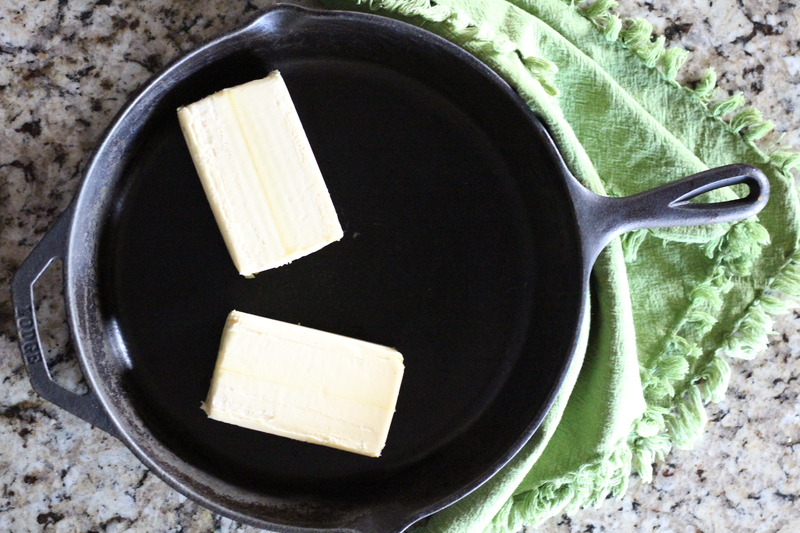 Place unwrapped blocks of butter in large skillet (cast iron or stainless steel is best). Let warm in oven for 30-45 minutes or more, until the butter oil has separated and you can see the milk solids in the bottom of the skillet. Remove the skillet carefully and prepare to strain the butter by setting up a large bowl with a strainer and layered cheesecloth resting over it. 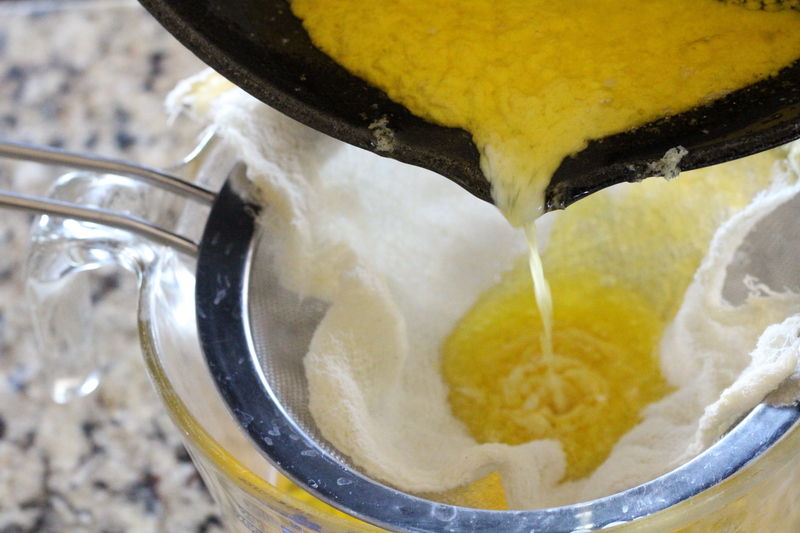 Carefully pour the melted butter over the cheesecloth so that it filters into the bowl, watching to make sure the white milk solids do not leak into the butter oil. If you do get some white blobs in the oil, you can filter it a second time into another bowl. Be sure your cheesecloth is folded with 3-4 layers to prevent leakage. Add real salt and stir to combine. 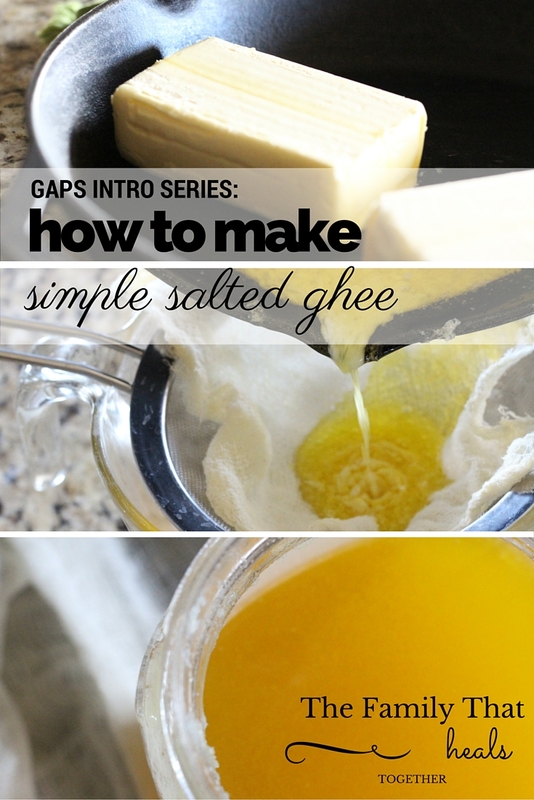 Ghee can be left out at room temperature, or can be stored in refrigerator, but will become solid and hard.